Towed by a tractor, trailer concrete pump for sale is easily to move from one construction site to another. So trailer concrete pump for sale is also called tow behind concrete pump. 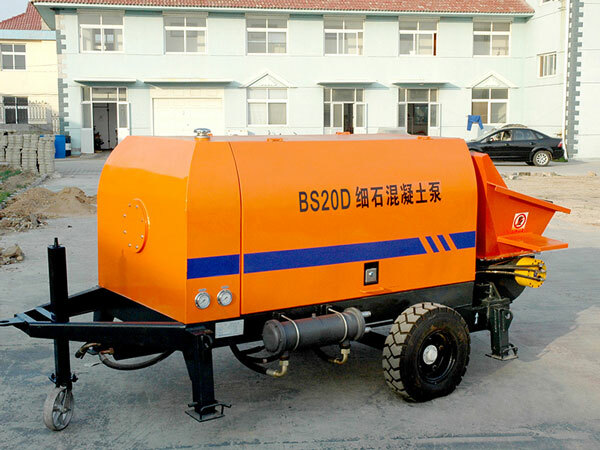 Equipped with additional pipelines, trailer concrete pumps for sale can convey the concrete to further distance. Whether horizontal distance or vertical distance, trailer concrete pump for sale can reach the heights that other types of concrete pump machine cannot reach. 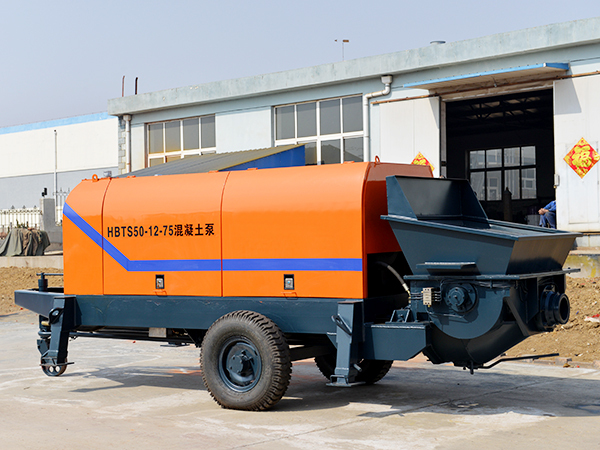 Different from concrete mixer with pump, trailer concrete pump for sale is mainly responsible for pumping the concrete under the high pressure. 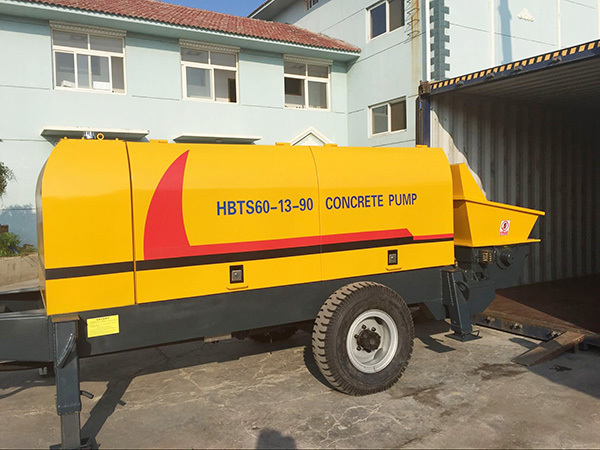 Our concrete trailer pump for sale is mainly used for the road construction, house construction, bridge construction, tunnel construction, factory construction and other types of projects. Trailer concrete pump price is a crucial factor when a customer want to purchase a trailer concrete pump for sale. 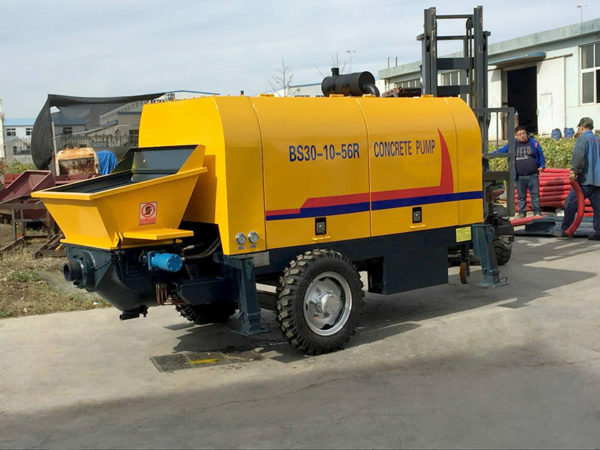 As we all know, there are many factors that can affect the concrete trailer pump price, such as, brands, types, models, the way of payment, configurations and so on. But As long as we can grasp the important factors, we can pick up a suitable machine with an affordable trailer concrete pump price. 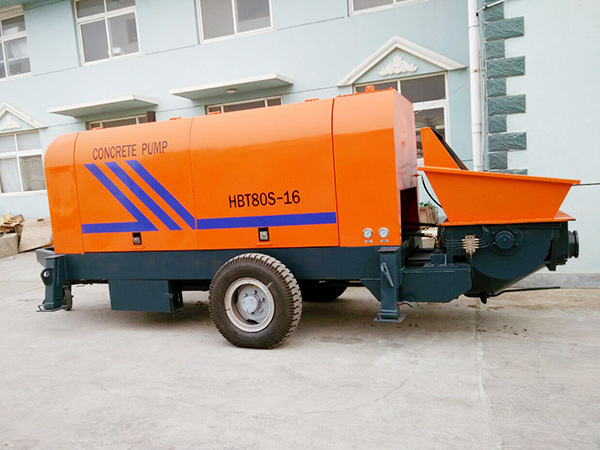 According to the driven engine, trailer concrete pump for sale can be divided into diesel engine concrete trailer pump and electric engine concrete pump trailer. 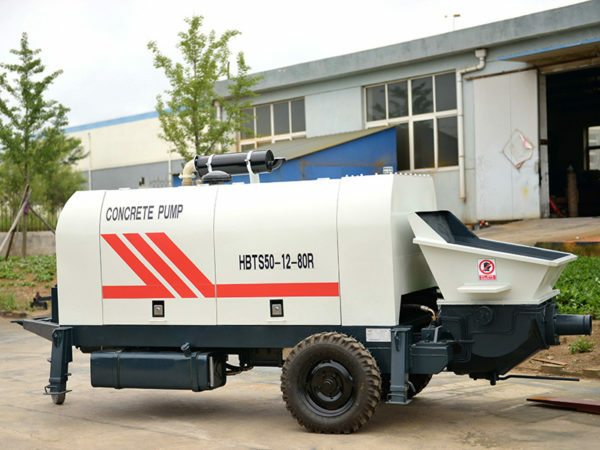 As its name implied, diesel engine concrete trailer pump for sale is powered by diesel engine, which can greatly save the electricity consumption. So diesel engine cement pump trailer for sale is more suitable for these areas that lack of electricity or electricity is rare. Our diesel concrete trailer pump for sale adopts full hydraulic pumping system, which can easily convey the large aggregate or crushed stone concrete. 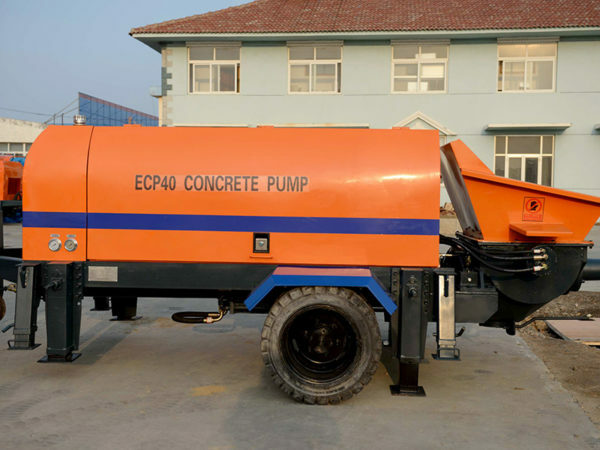 Our diesel engine trailer mounted concrete pump for sale has the features of high pumping efficiency, flexible movement, small investment, simple operation and easy cleanness. 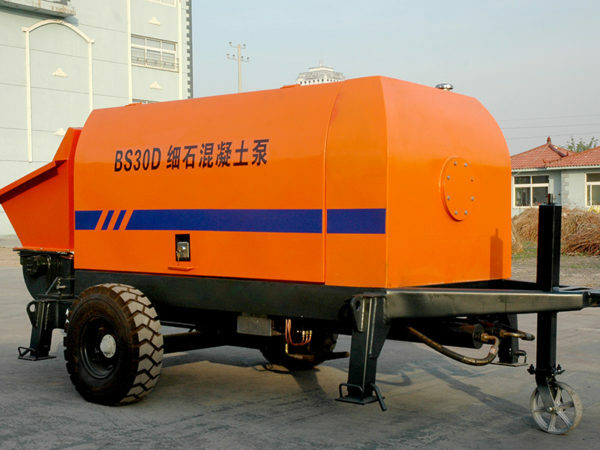 Electric engine concrete trailer pump for sale adopts the electricity as its original driven power, which is more suitable for these areas with plenty of electricity. 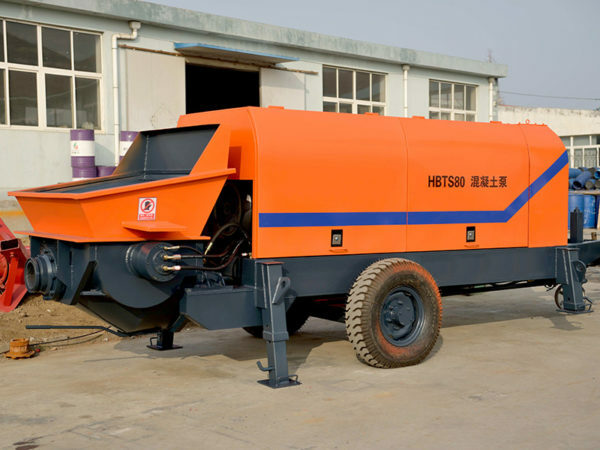 On the basis of technological innovation, our electric engine trailer-mounted concrete pumps for sale has smaller power, fully taking into account the carrying capacity of rural power grids. 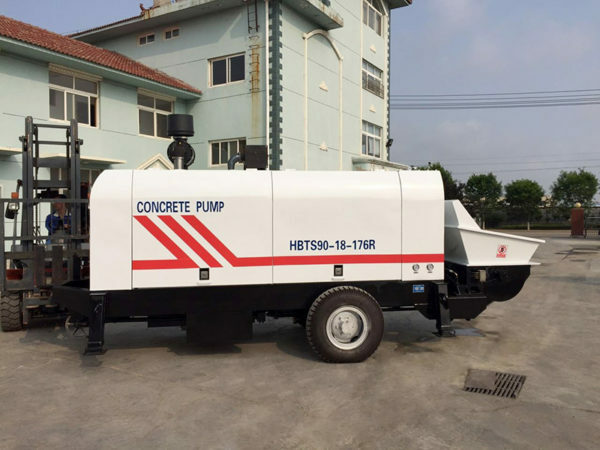 Our electric engine concrete trailer pump for sale has the advantages of strong adaptability, high working efficiency, convenient transportation, easy maintenance and long service life. Different models of trailer concrete pump for sale has different horizontal and vertical distance and different theoretical throughput. You can pick up the suitable model according to the needs of pumping concrete. Let’s take an example. The max. theoretical throughout of HBTS50R concrete pump on trailer is 50m3/h. The max. 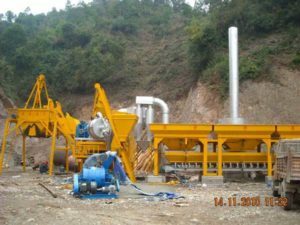 vertical conveying distance and horizontal conveying distance is 180m and 600m. Look at another example. The max. theoretical throughout of HBTS60R is 60m3/h. The max. vertical conveying distance and horizontal conveying distance is 190m and 800m. Therefore, you need to consider carefully. 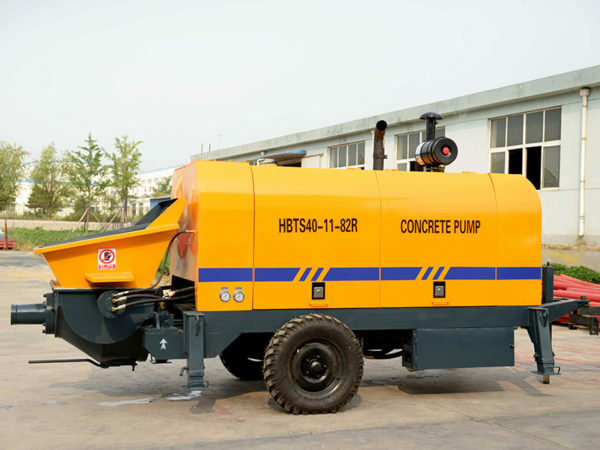 You can get many benefits from the credible trailer concrete pump manufacturers. Firstly, they can give you some professional advice about how to choose a right machine. This can save your initial purchasing cost. 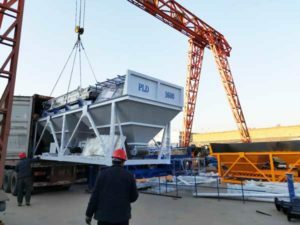 Then, after you buying their machine, they will send their engineers to help you install and debug the machine until the trailer concrete pump for sale can work normally. They also can help train your operator. This can reduce your additional fees. Finally, they will teach you some maintenance and repairment methods, which can not only increase the service life of machine, but also save your maintenance fees. 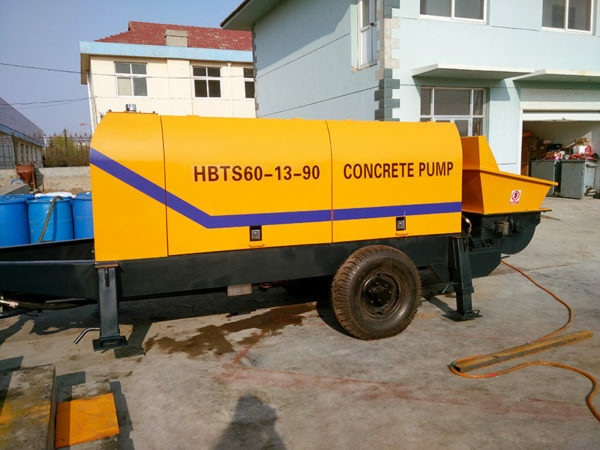 All in all, if you want to get a reasonable trailer concrete pump price, you need to get a suitable machine from a reliable trailer concrete pump manufacturer. 4. Apply in some special construction environment: railway tunnel, culvert, tunnel, bridge opening. Here are some useful maintenance methods for you. Right routine maintenance methods can reduce the failure rate of towable concrete pump. 1. Trailer concrete pump for sale shall be installed on firm and solid ground and make sure that all four legs are on the ground at the same time. If the ground is soft, wooden boards should be added to keep it from sinking. 4. Check the oil level of hydraulic oil tank; check whether the lubrication oil at each lubrication point is enough. 4. In the process of pumping, ensure that lubricate the points every four hours, so that the lubrication points are well lubricated. 3. Shut off the motor, turn off the power and cover the pump after cleaning. If you need to buy concrete trailer pump, leave your message to us. We will reply you as soon as possible.